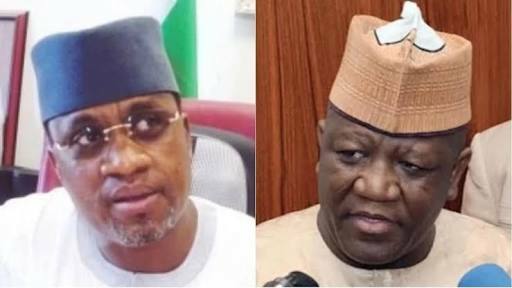 Governorship aspirant in Zamfara State and Chairman of the Senate Committee on Petroleum Resources (Upstream), Kabir Garba Marafa, has said Governor Abdul’aziz Yari is free to leave the ruling All Progressives Congress (APC). Yari had said he's under intense pressure to dump APC. He said this to State House correspondents, after meeting with President Muhammadu Buhari at the State House, Abuja. According to him, his supporters were aggrieved over the turnout of events following the party leadership’s refusal to acknowledge alleged primaries conducted last week in the state. In his reaction, Marafa, in a personally signed statement, in Abuja, urged the governor to leave APC because “he has accomplished his assignment in the party. Now, he is free to go. I know for a fact that he will meet what he did to the APC in any party he moves into. “The Governor is on record as having threatened the APC National Working Committee panel sent to Zamfara, for the primaries, not to set foot in the state as he could not guarantee their safety and instead, went ahead to conduct the primaries and announced the results; all by himself! He usurped the work of the panel and that of INEC. “Let me state it clearly that the agents of destabilisation in the APC are now leaving the party. “I have said it before and I repeat it that, all genuine aspirants on the platform of the APC should congregate in a room, lock the door and talk to ourselves. This is the time for us to resolve issues in the party and now that agents of destabilisation are leaving, it is time to sit down and come to a conclusion and move forward. INEC had barred APC from contesting for the 2019 poll in Zamfara for not conducting primary elections in the state.